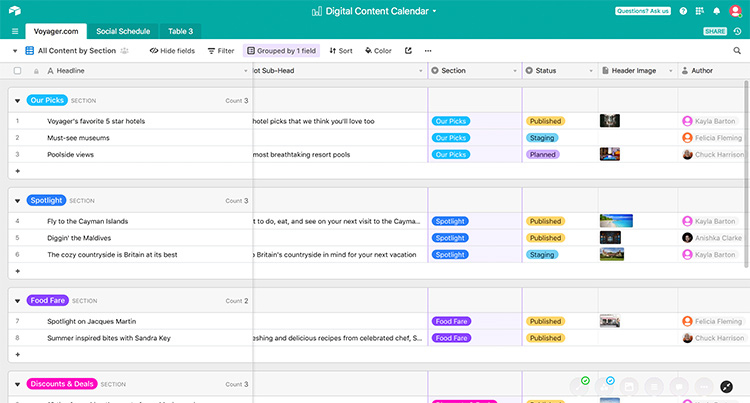 Do you struggle to keep track of your content? Grappling with keeping up with content requirements of your team? 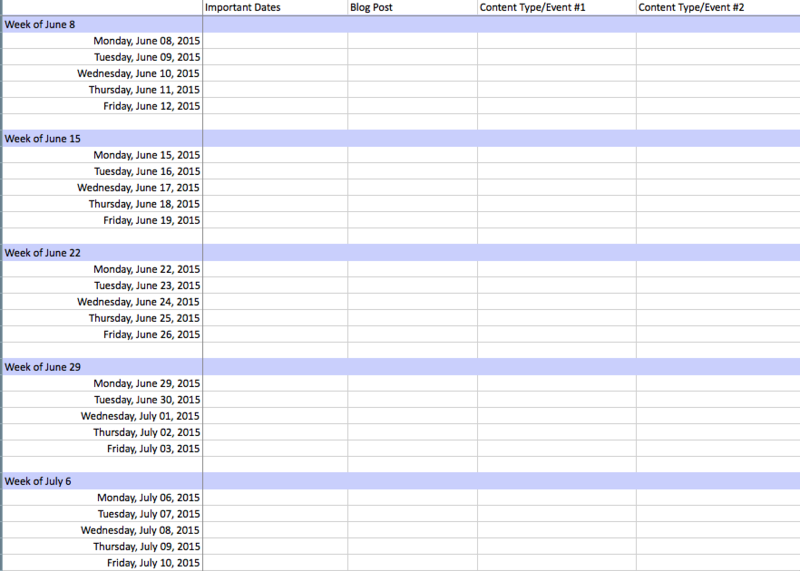 You can solve all these problems with the right content calendar template. 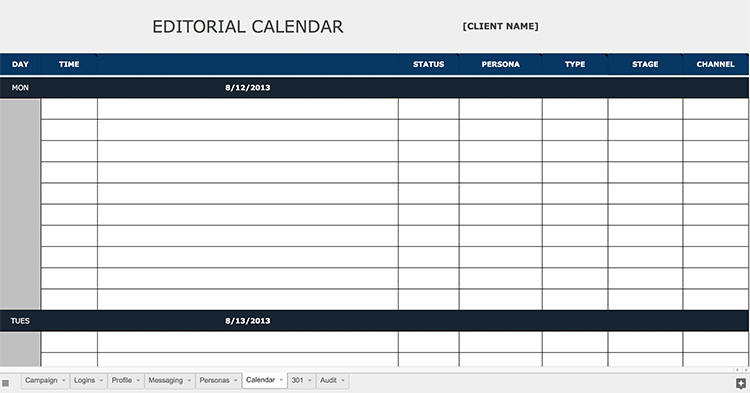 Editorial calendars will help you keep an inventory of your content and will help track your requirements. For content marketing professionals, posting blogs and other content consistently is extremely important. Being disorganized and inconsistent can tell Google that you are uninterested in maintaining the quality of your site and reduce the SEO score of your site. When you have all the nitty-gritty taken care of, your team can focus on churning out creative content and enhance your content marketing strategy. Enroll in our Content Marketing Course today and discover new ways to improve your company’s marketing strategy. All you need to do is fill out a contact form with your name, phone number and company website and email address. Not too bad, just takes a minute to get access to the calendar template. 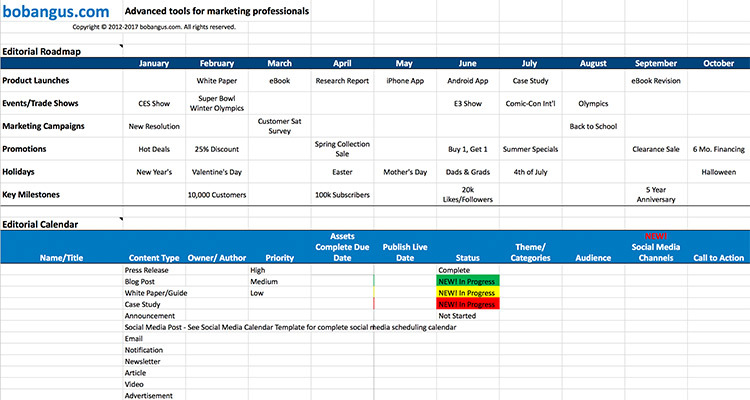 The content editorial calendar template is detailed and insightful and is provided in an excel format. Easy to customize, this template can be used by most content teams with a little tweaking. However, the contact form does not seem to work for individuals who are not affiliated with any firm. Thanks to this, this template may not be accessible to freelancers. One potential problem with this template is that its excel format might make coordination between team members a tad difficult. Absolutely, the calendar template covers the basics of every content team’s requirements. Moreover, it won’t cost you a dime, so if it doesn’t work for you, you’ll have nothing to lose. A contact form that is simpler than that of Hubspot needs to be filled. The calendar template is completely customizable! The editorial calendar template comes with 13 columns including the date, name, content type, funnel level, author and the article status. Quite detailed for any content team, if you ask us! If your content is closely connected to customer experience, then yes! This free calendar template comes with ungated access, which means you could go over to the website, just click and download it. This excel content calendar template is detailed and revolves around your articles, important company events, important dates (like Christmas/Black Friday) and supporting social media activities. It is great for retargeting and remarketing efforts. A company email address is not required to download this template. It is adaptable and can be altered (to some extent) to meet your team’s requirements. As it stands, a potential problem your team could face is that it cannot be shared, which can be solved easily if you just copy the template onto Google spreadsheets. Yes, if you are a freelancer or an in-house content manager, you could benefit from this simplistic template. 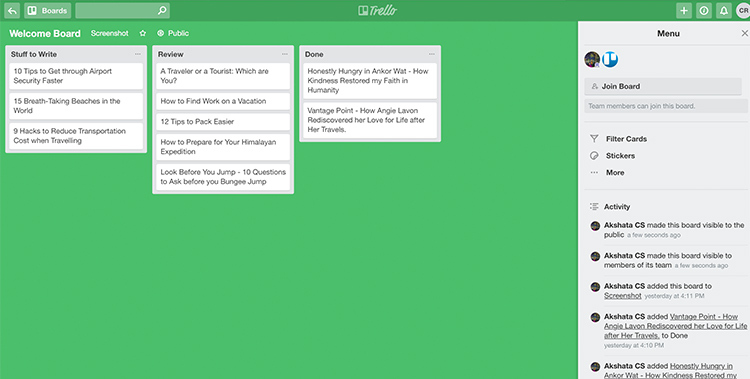 Sign up for a free Trello account. Just your name, email, and password does the trick. This tracker has a free as well as paid subscription. You can choose the one that works best for you. You will have to verify your email though. Free and Paid subscriptions are available. The paid version costs about $9.99 – $12.99 for every person who is part of your team. The paid version lets you gain access to admin privileges and priority support that will not be available to you in the free plan. Vibrant, easy-to-use and super organized. If you have a limited budget, then the free account is quite substantial and lets you perform all the necessary tasks without burning a hole in your pocket. 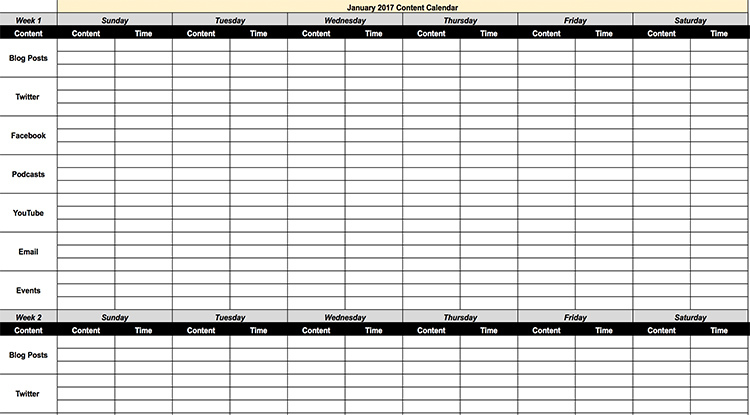 This is one of the best content calendar template out there (even though it is not a content calendar template per say). We love the ease with which you can use it. Go for it, if boring excel sheets aren’t your friend and your team would prefer a more lively board in its place. The template is easy on the eyes and is simplistic. It is perfect for those who don’t like fuss. Its no-frills design allows marketers to focus on the nitty-gritty instead of the glitz. 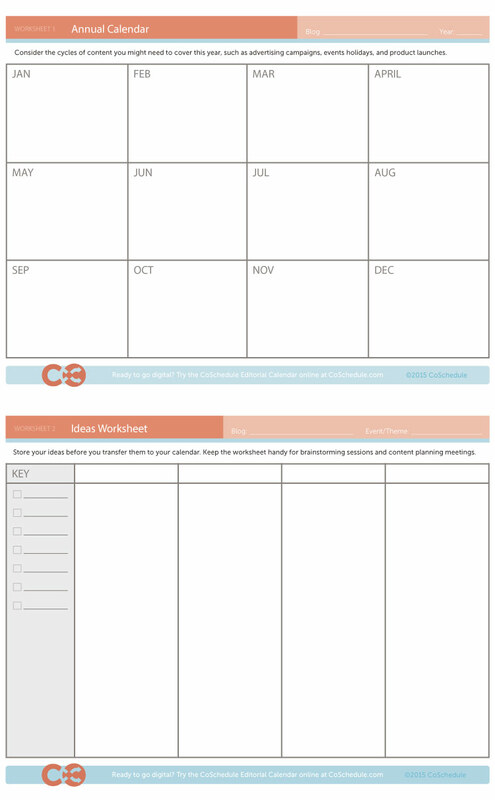 A separate sheet is given in the template for you to store all your great content ideas. Yes, especially if you have a tendency of getting distracted. This is perfect for those who want a tracker to keep of their writing and nothing else. Coschedule sends you a comprehensive package to your email address when you sign up for their template. The templates are also available in a pdf format so you can print and make a physical copy of it if you prefer the old-school method. The needs of an entire marketing team are taken care of by this package. Whether you blog or tweet, this package has something for you and your team. However, it can be confusing for someone who has just started. There are so many templates that it is a bit difficult for a newbie to keep up. Get it if you want a tracker that takes care of all your needs in a compartmentalized manner. This wordpress plugin must be downloaded using your wordpress account before you can use it. This WordPress plugin lets you collaborate with your editorial teammates and build a worthy content arsenal. 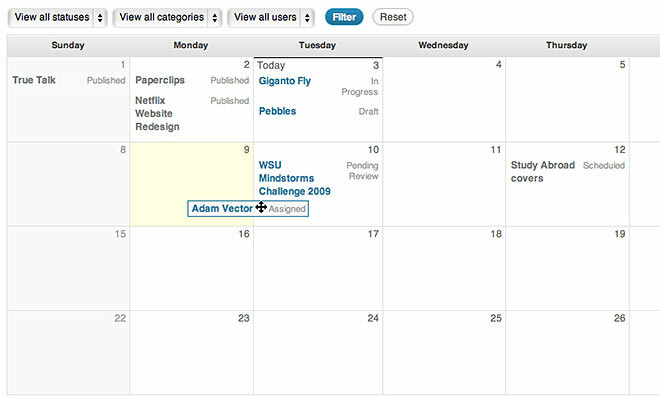 The editorial calendar includes custom statuses that can be modified to suit your needs. 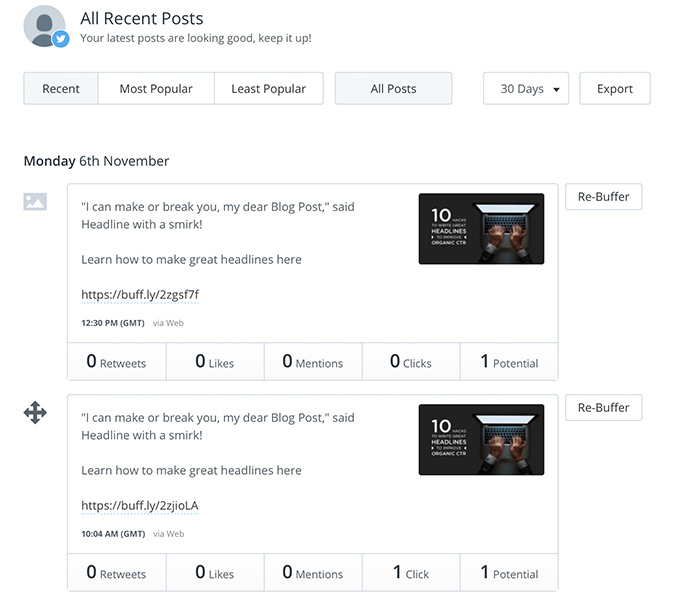 With this plugin, you can receive notifications about important content, create budgets for your content pieces and identify which stage of creation your article is in through the custom statuses. If you have a wordpress.org account. Definitely! The template is given in a jpeg image format. You just have to right-click and save it into your system. Shape+Sound has thought of everything. 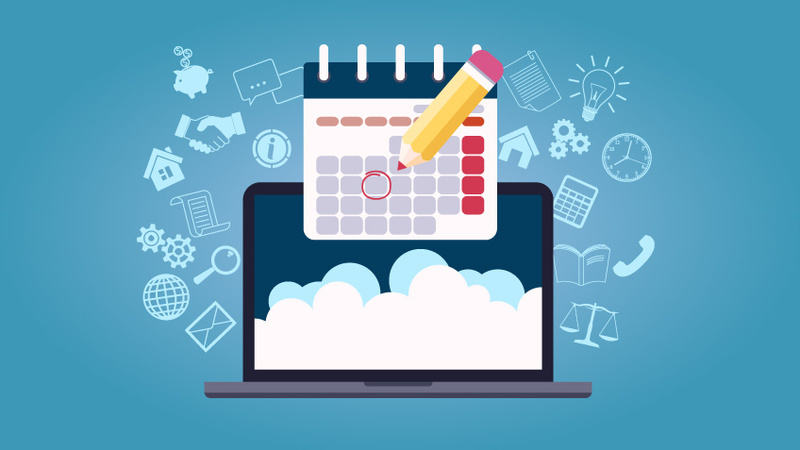 This free calendar template includes the buyer stage, the buyer’s consideration at that stage, content topic, author, sales expert, content type and CTA. This template is designed to integrate inter-team efforts in meeting company’s bottom line. If you are trying to integrate your content marketing efforts with your sales efforts, then yes! This template is multifaceted and will help you plan content according to the needs of your target audience. 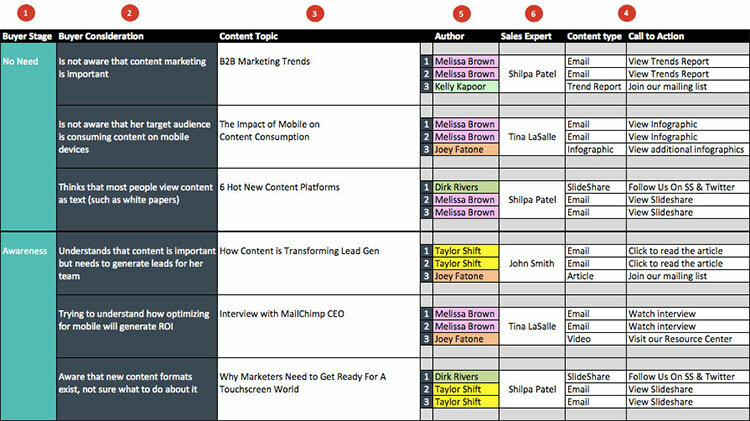 This content calendar from Vertical Measures is ungated. A link is provided for you to download the template in an excel format. Simplistic, yet detailed. This content calendar is also a business-oriented template. With an annual and a monthly view, this template lets you get a bird’s eye view on your company’s goals and tasks and also lets you coordinate your content strategy with your company’s peak seasons and other important dates. Get it if your content is highly dependent on product launches and other important dates. The Bob Angus content calendar template is a simplistic excel sheet that lets you keep track of your content, its release date, priority level and its status in one go. The template can be modified with ease to adapt it to your team. The template has been updated and now includes a spreadsheet for you to insert your ideas that are not in the schedule yet. It is a great space for you and your team to brainstorm ideas (even bad ones!). Airtable has a collection of templates you could use anywhere. While this site provides templates for a vast collection of tasks, its digital marketing template is one worth mentioning. The headline, sub-head, status, cover image and draft/publication date columns are given so you can keep track of all important events related to your content. One of the most well-organized templates we have seen, this template definitely makes it to the top of our list as the one to have. A great platform to track and pre-schedule your social media efforts. This app is great for those who like to stay ahead of their social media schedule. This template is ungated and can be accessed through a link given on AXZM’s page. It pays to mention that in order to access their calendar, you have to pay with a tweet. A small price for a large gift, if you ask us! The AXZM content calendar is designed to meet all the requirements of your digital marketing team. This calendar is not just limited to content development. It has 8 tabs and includes SEO audits, 301 redirects, and logins. This calendar is well suited for those who lean more towards the business side of digital marketing and provides teams with all-round support. Yes, if you are looking to integrate your SEO effort with your content marketing efforts. BlueWire Media’s content calendar is available in the form of a google spreadsheet. 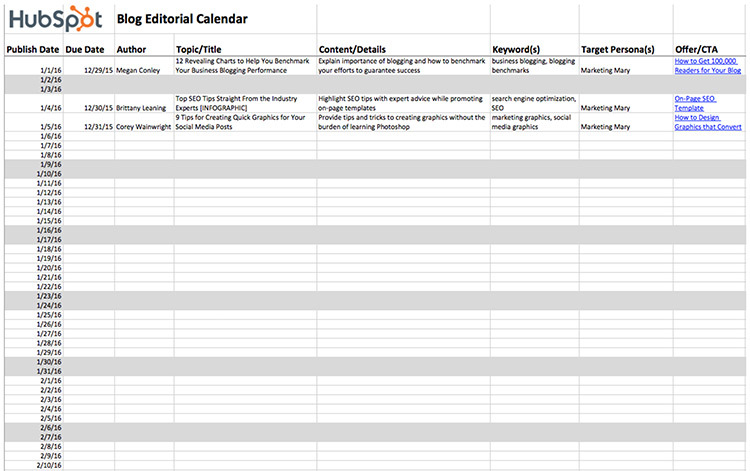 This template is detailed and allows you to keep track of day-to-day content marketing efforts. 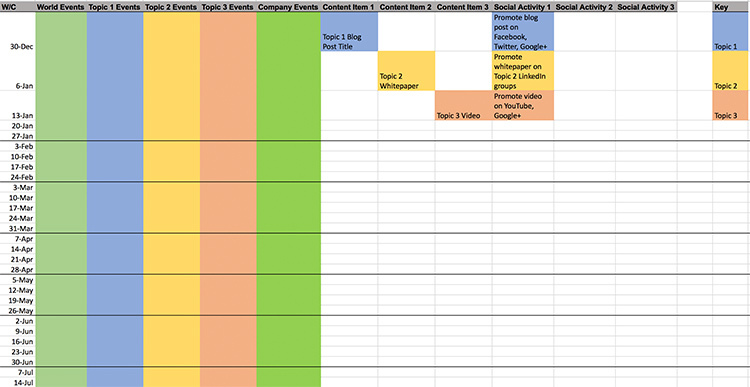 The template has a spreadsheet for each month and each spreadsheet has an exhaustive social media and content tracker. If you love a micro perspective of your content marketing efforts, then yes! 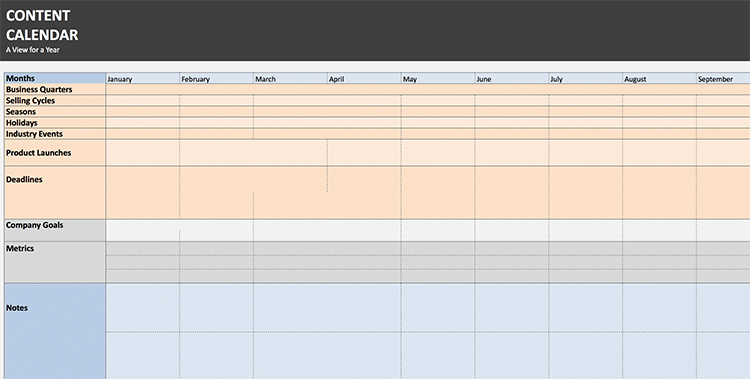 The excel content calendar template is ungated and is available without any access form. Brett Snyder is quite clear about the dos and don’ts of content strategy. Snyder’s content calendar is comprehensive and precise. Columns are provided for focus keywords, reference sources, complimentary features like images and video clips and for a supporting social media plans. This editorial calendar is perfect for writers and using this calendar template means that you don’t have to run around a headless chicken for information when you publish it. Get this template if you should like maintaining content information in an organized form. 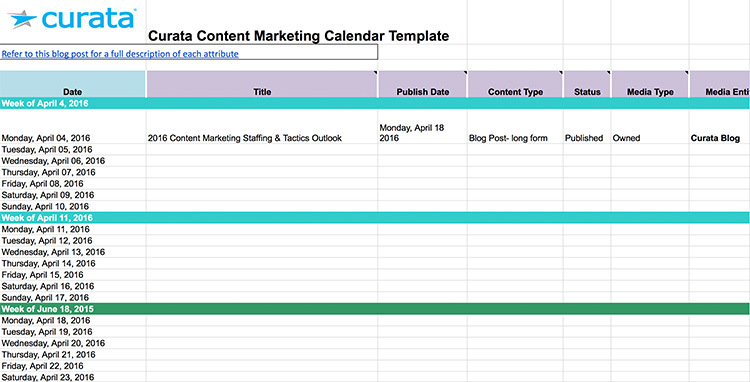 Don’t ever use a content calendar template that isn’t for you. It is just as bad as not using one at all. Before you use a template, make sure that it has all the categorize you need. Don’t be afraid to mix and match different templates to get the best match for you, but make sure you don’t add too many details.